FACING DRUG CHARGES FOR POSSESSION OR DISTRIBUTION OF MARIJUANA, METHAMPHETAMINE, COCAINE, SYNTHETIC DRUGS OR OTHER ILLEGAL SUBSTANCES? The government is tough on crime, and even tougher on the war on drugs. Your reputation, career, and freedom are on the line. You want an attorney who understands what you are going through and has the specialized knowledge to succesfully handle drug cases. For almost 20 years, Houston drug defense attorney Neal Davis has represented individuals charged with state and federal drug offenses, from marijuana to cocaine and methamphetamine to synthetic drug cases. He has earned a reputation for aggressively fighting these cases and winning results. Since Texas and the United States government declared a “War on Drugs” in the 1970s, law enforcement and prosecutors have gone after drug-related crimes with zealotry and ferocity. As a result, it is not uncommon for drug possession and distribution allegations to involve lying police officers and informants, invalid search and arrest warrants, and “dry-labbing” (or falsifying) drug lab results. To beat a drug charge, a lawyer must know the complex law surrounding searches and seizures as well as the “affirmative links” (or ties) of a defendant to the drugs. The stakes are high in these cases, and there is no substitute for the experience and skill of a qualified drug crime lawyer. Don’t take a chance – contact an expert Houston criminal defense lawyer to discuss your case. Start building your defense today. I have been arrested for a drug offense. What should I do? "Neal is the man. Neal has provided me with excellent defense in the past and he just got a felony evasion charge dismissed without me ever even seeing the inside of a courtroom or the faces of a Grand Jury. Neal and his associates are downright aggressive when it comes to defending your innocence. Thanks for everything"
Drug crimes are prosecuted in the State and federal courts in Texas. Determining the sentence for a drug offense is complicated and based on numerous factors, including the type of drug in question, the amount of the drug, intention for which the drug was used (e.g., mere possession v. distribution) and the location of the transgression (e.g., a school zone). The state of Texas and the federal government define marijuana - also called weed, herb, pot, grass, bud, ganja, Mary Jane, and a vast number of other slang terms - as "the plant Cannabis sativa L., whether growing or not, the seeds of that plant, and every compound, manufacture, salt, derivative, mixture, or preparation of that plant or its seeds." It is a Schedule I controlled substance that is illegal to possess, use or distribute. Anyone caught with a "usable" amount of marijuana is subject to fines, mandatory drug rehabilitation and/or imprisonment. Being convicted of cocaine possession or distribution can have a disastrous impact on your life, family, job and reputation. For over 400 grams of cocaine, the punishment range in Texas is 10 years to 99 years (or life)-higher than for a murder charge. If you or someone you know has been accused of possession or distribution of cocaine, you should contact a drug possession attorney immediately to protect your constitutional right to a zealous defense. In some cases, a drug offense is also connected to another crime, such as carrying a gun, which makes the punishment even more severe. Drug cases may also be enhanced if the defendant is a repeat offender, or if the defendant was caught trafficking, possessing or distributing controlled substances in large quantities. Drug cases involving a large amount of drugs, or a conspiracy with others, often lead to federal charges. A defendant charged in federal court often faces pre-trial detention, with no chance of bond, and stiff mandatory minimum prison sentences. In federal drug cases, it is imperative that you hire a drug lawyer who is licensed in the federal court and has experience handling cases there. In addition to marijuana and cocaine, numerous other illegal drugs can lead to possession or distribution charges. These "controlled substances" include synthetic drugs, heroin, methamphetamine, oxycodone, hydrocodone, ketamine, ecstasy, LSD, crystal meth as well as certain prescription drugs like Valium and Hydrocodone. Depending on the substance and amount found, individuals charged with possession or distribution of a controlled substance can face up to a $250,000 fine, random drug tests, rehabilitation and anywhere from 180 days to 99 years (or life) in jail. Growing, processing or manufacturing a controlled substance is a criminal act according to Section 481 of the Texas Health and Safety Code. Penalties for such a crime depend on which group the substance falls into. The most severe punishments are reserved for producing Group 1 drugs, such as methamphetamine and cocaine. Processing pharmaceutical drugs like Valium, Ritalin and Codeine have less severe consequences. Marijuana is in its own Miscellaneous group, meaning the punishments can vary, from fines to probation to imprisonment. Whether charged with trafficking of marijuana, cocaine, prescription drugs or another controlled substance, the consequences are almost always severe - from losing a driver's license to spending up to life in prison. Such a devastating punishment can have lifelong repercussions on your freedom and reputation, not to mention employment and your family. If you have been accused of distribution of an illegal substance, contact a drug offense lawyer immediately. An expert drug trafficking attorney can help negotiate the best possible outcome in your case. For nearly 20 years, Houston criminal defense attorney Neal Davis has fought for the best possible outcome in cases all throughout the country, in State courts to federal courts and on appeal. 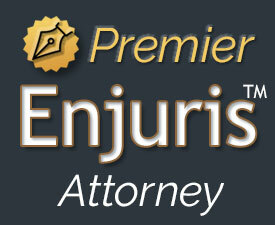 He prides himself on treating each client with the respect, personal attention and expert defense that they deserve. Through his ability to effectively communicate with judges, prosecutors and juries, as well as his reputation for aggressively representing his clients, Neal has often successfully negotiated a favorable resolution without the need for trial. Call to schedule your free case consultation today in our downtown Houston law office.